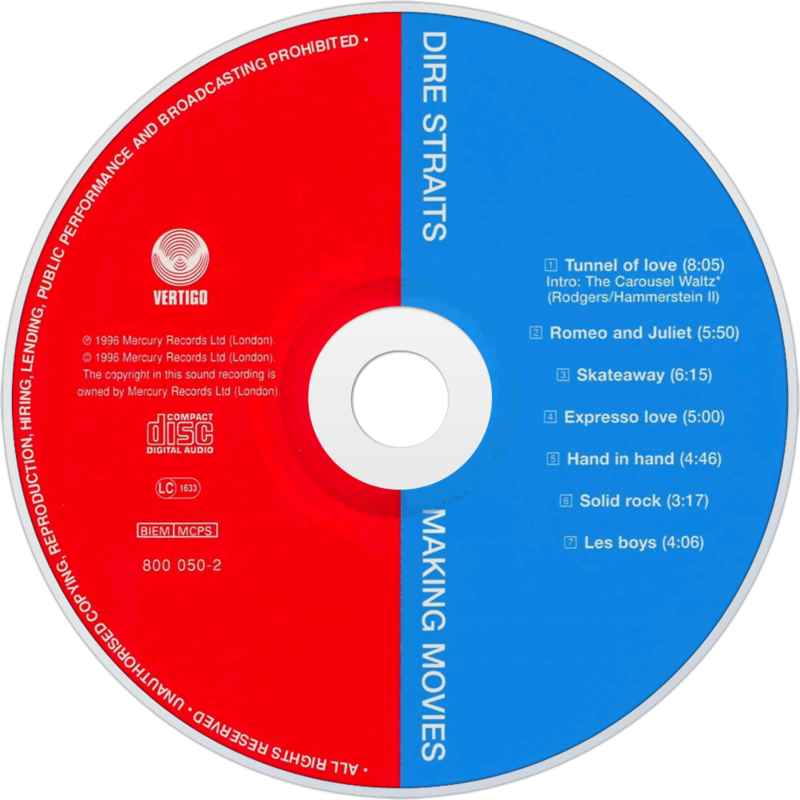 Making Movies is the third album by British rock band Dire Straits, released on 17 October 1980 by Vertigo Records internationally, and by Warner Bros. Records in the United States. The album produced the single "Romeo and Juliet", which reached the number 8 position on the UK Singles Chart. The album reached the number one position on album charts in Italy and Norway, the number 19 position in the United States, and the number four position in the United Kingdom. Making Movies was certified platinum in the United States, and double-platinum in the United Kingdom. 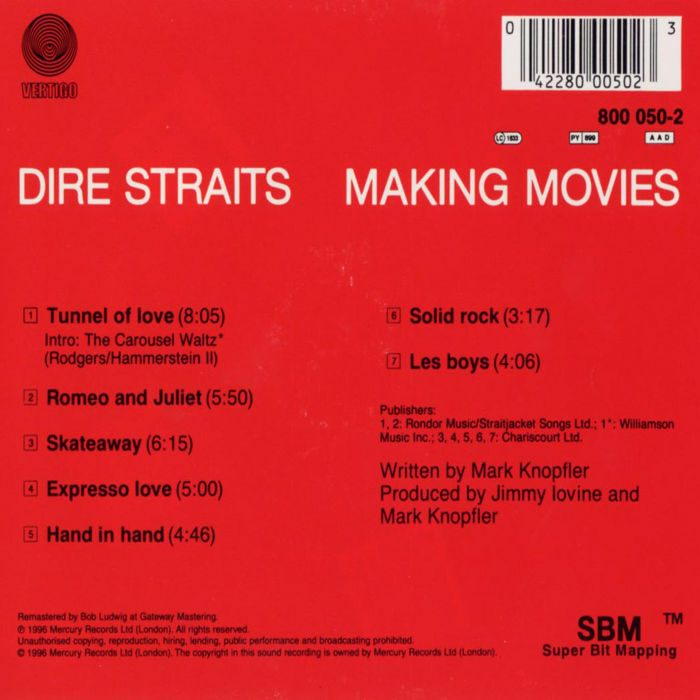 After the Communiqué Tour ended on 21 December 1979 in London, Mark Knopfler spent the first half of 1980 writing the songs for Dire Straits' next album. He contacted Jimmy Iovine after hearing Iovine's production on the song "Because the Night" by Patti Smith—a song she had co-written with Bruce Springsteen. Iovine, who had also worked on Springsteen's Born to Run and Darkness on the Edge of Town albums, was instrumental in recruiting E Street Band keyboardist Roy Bittan for the Making Movies sessions. Without Bittan, the album's "cinematic power and evocative landscapes might have been impossible to achieve."